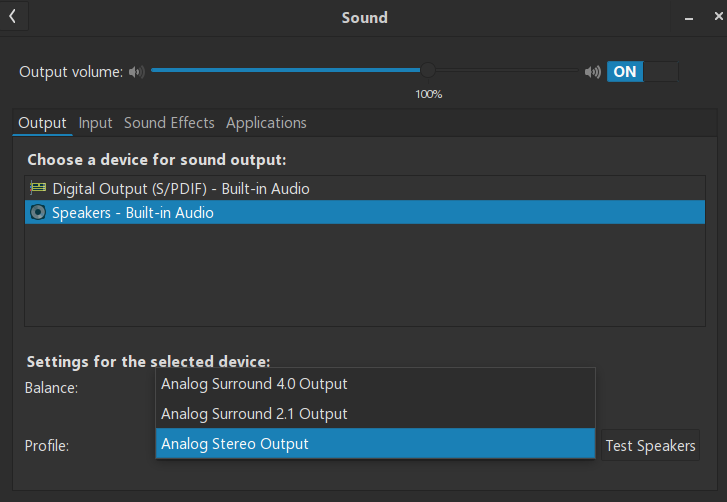 This was bizarre to me as I had the correct audio device selected, and it even gave me options to change it from 2.0 to 2.1 or 4.0 (although I have a 4.1 setup, but that comes later). I searched around and found this post (dude has the same laptop as me) and SHIFT+FN+F7 does indeed unmute and audio works fine… until I restart. While this is a minor inconvenience, I’d like to know if there’s any way to have the laptop be unmuted by default. My second issue is that I don’t have the option to use my full 4.1 setup. I just get this. Is there any way to set up 4.1 audio? 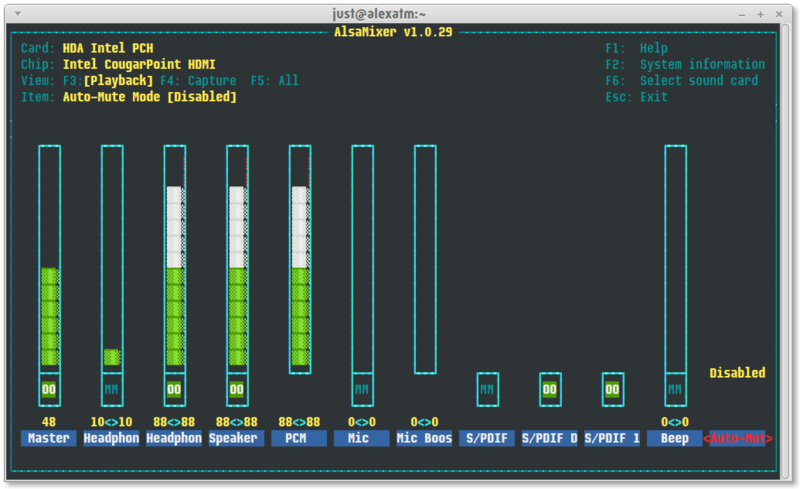 @axb993 Have you tried to play with alsamixer in terminal? It looks like that whether or not I’ve done the FN+SHIFT+F7 thing. @axb993 You have to hit the F6 key, to select the sound card you want to work with. You should also check pavucontrol if you haven’t. Does anything there look out of order? If you still have no sound after reboot, you could try this solution. 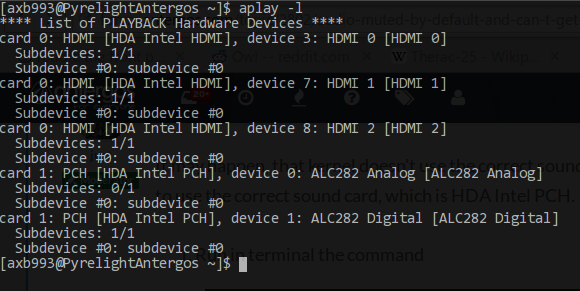 It may happen, that kernel doesn’t use the correct sound card by default. For example, it could use HDMI instead of HDA Intel PCH. 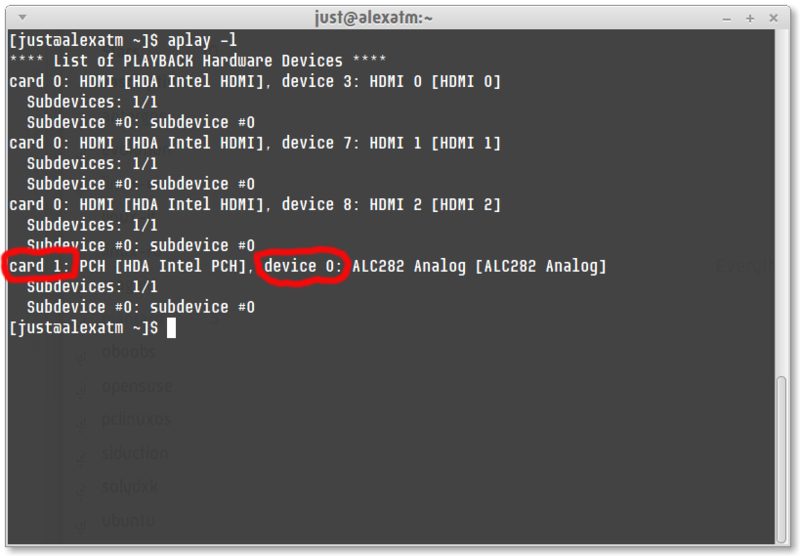 It is possible to “force” kernel to use the correct sound card, which is HDA Intel PCH. Here, the values that follow the = sign, are your card and device numbers. If you use grub 2, remember to regenerate the grub.cfg after adding this parameter. The command that does it was posted in the forum by @karasu at least one thousand times. It starts with grub-mkconfig ... . If you search the forum, you should easily find it. It may or may not work. At least, you could give it a try. Also, how do I change the kernel’s boot line? I know I’m using grub 2, can I use Grub Customizer for that? And if so, does Grub Customizer regenerate grub.cfg? I don’t know. Never had a box with double HDA Intel PCH card. Again, these are purely theoretical suggestions. No guarantee that it will work. Never have to deal with such cards. Also, how do I change the kernel’s boot line? Parameters between double-quotes are any additional ones the user can add. There’re no such parameters in the example above. The line was usually found near the top of the file. Save the file and regenerate grub.cfg. Repeat, I don’t use grub 2. Search somewhere else to verify that what i’m saying is correct. I know I’m using grub 2, can I use Grub Customizer for that? And if so, does Grub Customizer regenerate grub.cfg? Yes, it will probably do. The best tools to work with grub is your own head and hands. Grub is too delicate thing for being permitted to be managed by other tools. I don’t use Grub Customizer. 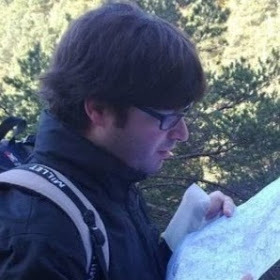 Come si dice da noi, nessuno nasce imparato . Not sure, how to say it in English. It could be a bit difficult to learn Linux initially. But more you learn it, more it rewards you, and every day becomes easier to work with. Tried both, didn’t work :/ exactly the same as before, with FN+SHIFT+F7 unmuting it. What exactly does that key combination do? Surely finding that out would help fix this? Also thank you so much for all the help, it really means a lot.